Just when you think I can't make any more bows; boom. Here's one made out of denim. Which is a tricky fabric since it's so thick. But I got it to do what I want. Usually I attach big elastic hair bands to the bows I make but I didn't have one the right colour so I left it for a long time. And then I had a lightbulb moment. I put a regular small hair band through the bow and now I can wear it with a ponytail. Or with a messy bow. And I can also slip the bow onto an existing metal hairband and wear it that way if I feel so inclinded. All these possibilities just opening up to me. Whoah. Here's one of the new pieces that was in my exhibition. The whole thing was inspired by the music video for If I Die Young by The Band Perry. The video is a tad random, and the brothers are a little creepy looking but I still can't stop listening to the song or watching the video. The piece is a boat on water with the bank either side. For the trees I just took twigs from my garden instead of making new trees which would have taken forever. I even included the book that's in the boat at the end of the video that says Tennyson Poetry on it. I think people thought it might have had a deeper meaning to it...but it doesn't! For the river bank I scrunched up newspaper and covered it in wood filler which I then painted and added bits of green sponge which I had left over from making the tree. The water is about 4 layers of PVA glue. It was looking really good after layer 3, but layer 4 made it go a bit cloudy. Never mind! Before I made tiny things I used to paint. A lot. You've seen a lot of my landscape paintings but I also used to do a lot of portraits. Infact at A level I did a whole project on portraits which I got full marks for. Boom. So here are a few of the best portraits I've ever painted ever. I got this painting professionally framed and it's currently hanging in my house. I think I like the collar bone best. Is that weird? There're quite a few of these but I like this one because it's a bit different. This is my friend Stef and I think the painting really looks like her. 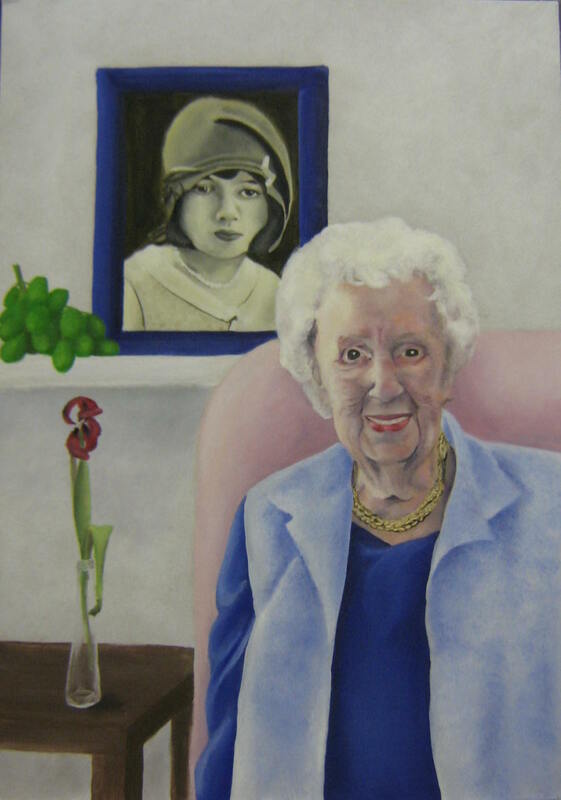 This is the first version of a few paintings of my Grandma that I did for A level. This lady lived to be 101. 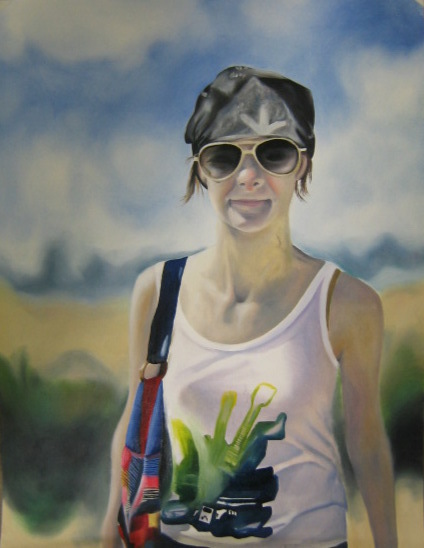 I love this fun painting of my friend Lizzi, and it was a lot of fun taking the photo to paint from. 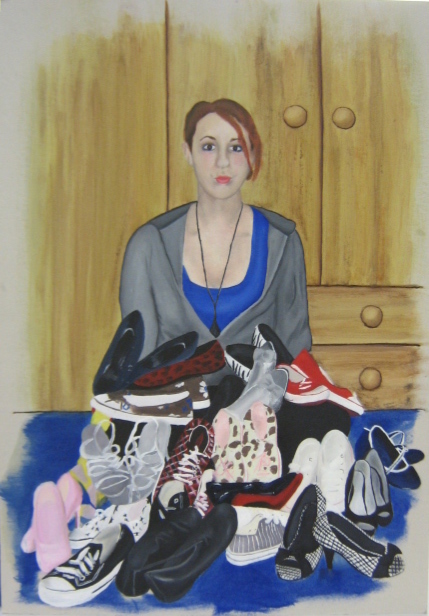 This painting was done when we were 16/17 and she's got a lot more shoes now so maybe I should do an updated version with her entire collection. Last Thursday we had the private view for our exhibition. Who likes my new red jeans? I call them my J-Nett pants. No private view is complete without a lovely spread and since our exhibition featured miniature art we themed our nibbles accordingly. We had mini party rings, mini oreos, cocktail sausages, mini chocolate fingers, mini sausage rolls, mini cheddars, mini donuts and baby bells. And the drinks were served in plastic shot glasses! People also had a good look at the work, but really, it was all about the food. I made a new hairband. But what kind of fabric is that? I bought some Image Maker and used it to transfer text. I like that it prints the reverse because it gives the look of news print without having actual readable words, because I wouldn't want people reading my head when I wear the hair band. The hair band is made the same way as these ones, but with a cute bow for added interest. 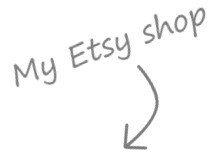 Has anyone dabbled with the wonder that is Image Maker? Here are some photos from my joint exhibition 'Two Small' which is up this week. It's in the same space as my Tiny Little Dark Things exhibition last year. The exhibition also features work by my friend Natalie. She paints miniature portraits and in addition to presenting them in traditional frames she also painted tiny faces on a stone and a shell that she collected on a recent trip to New Zealand. I decided to give my pieces titles as I think it adds something extra to them. And because I can and nobody can stop me, all of my titles are from country songs. Who wants to see if they know which 5 songs the titles came from? Some are easy and use the song title and others just use a lyric or part of a lyric. I'll show you closer looks at the new pieces soon as I get my new camera today! Yay! Friends, I have nothing new to show you today. I know, I have let you down. But between writing my dissertation, working towards my exhibition this week and having no camera with a macro setting; I got nothing - unless you want to see my dissertation. Which you don't. So instead why don't you go and look at some other blogs that should have awesome stuff for you to see. I'll take you through some that I look at regularly. I keep this on my blog list for the days when I can say 'Yes!!' in agreement. Because it's just so cool over there and Sarah is the best. Do I have a house that I'm currently renovating? No. Do I have a child that I need parenting tips for? No. So why do I read this blog? No idea, but I do and it's been on my list for a long time. This photo never fails to make me laugh, and I've had it saved on my computer for years. I often have a look at what Alice has been up to. I like seeing what life on the other side of the world is like. Megan makes living in the UK look terribly romantic and lovely and I've been loving the conversation confusions she's been posting between her Californian self and her Irish boyfriend. 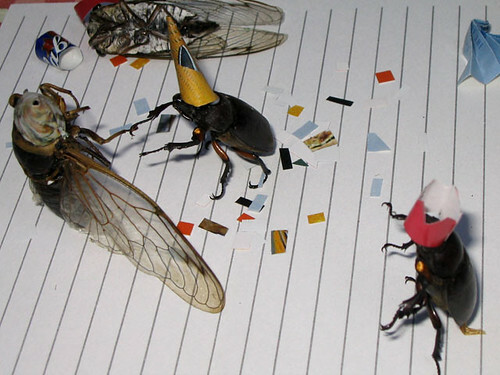 Rena is incredibly creative and she came up with the best ornament ideas over Christmas. And then there are the blogs that I haven't committed to officially following but I visit them regularly and read several posts at once. I love Elycia's hair and her style and her vlogs. I pop in on all of the Red Velvet girls but Katie has the cutest dresses and I love all of her little creations. 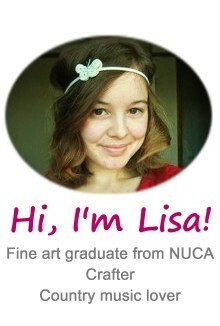 I'm off to put up my exhibition, and I'll be sure to share photos later in the week! My friend Natalie and I are currently working hard preparing for a little joint exhibition at uni next week. So my studio table looks a lot like this. And that carpet I was so excited about is now filthy and could do with a good hoovering. Natalie is currently producing portrait miniatures which is why our artwork will work well together in an exhibition. The exhibition is called Too Small (or Two Small depending on which poster you're looking at) and will run 16th-20th January (on the paint landing of St.Georges for any NUCA people). 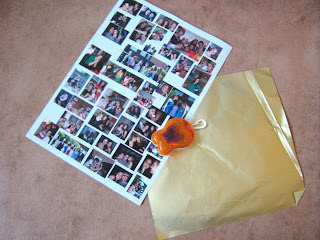 A fun way to dress up a table for an event with friends is photo confetti! 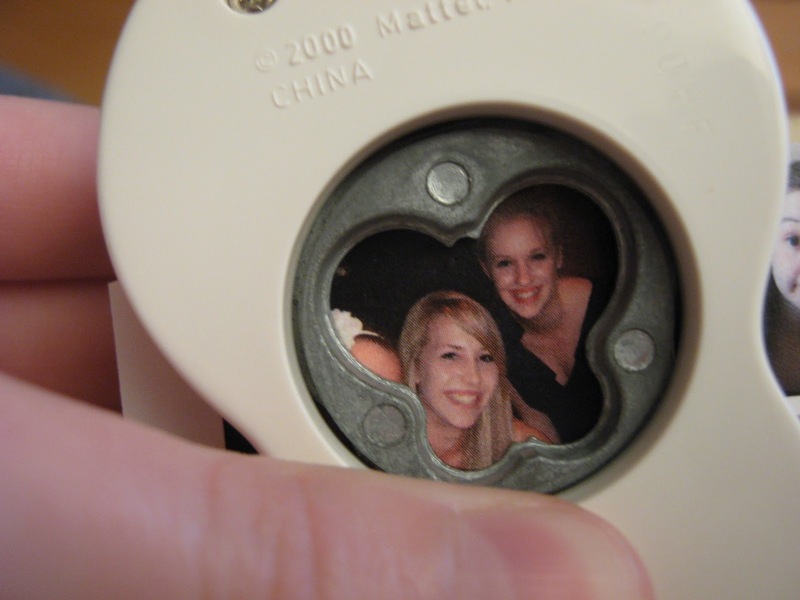 All you need is a sheet of printed out photos, some sticky back decorative paper, and a shape punch. Mine's a butterfly punch that came with a Barbie many years ago. Oh yes. 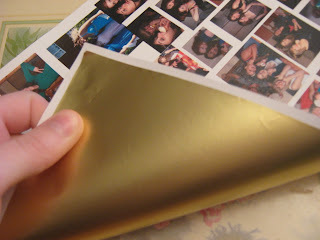 First attach the sticky back paper to the sheet of photos. Line up the shape punch with each photo and punch away. It's so easy to make loads of these and they're fun to look through and discover each tiny memory. I did this painting, upon my Mum's request, during the summer after we visited the lavender field. But it took my parents a while to hang it in the house, and even longer for me to share it with y'all. My parents have a poppy thing going on in the hallway as you may have noticed. And if you look closely you can see the photo canvas I got from Canvas Dezign. My fellow student Holly (previously mentioned here) currently has an exhibition on at uni entitled Yours? She invited me to a group crit for it and I didn't really know why until I saw this. She has taken work by a group of students and outlined where it would go in the space with orange tape. Then she has given the work a new context and interpretation in the description. And in my case she even gave it a new title. She did this all in secret and we didn't know about it until the exhibition went up. But none of the artists featured minded, as the only thing she has taken that really belongs to us is our name, and maybe the idea of a piece of art. I was happy for my work to be included - well, the idea of my work - as it gave it a new way to be read and interpreted, which was very different to my original intention. The exhibition brings up the question of authorship. My piece has my name on it, which makes it mine, but Holly physically put it there, making it hers. And this is what art school is all about.